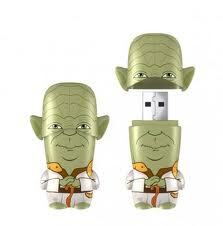 Yoda makes sure the force is with me! Petabyte – eating same food as your pet? Eating your pet? Eating people from PETA, that would ethically protect animals, wouldn’t it? But a petabyte has nothing to do with food but is 1 million gigabytes! I like the idea that computers will never run out of memory as long as we can afford digitally bigger geek sticks (memory sticks). I know my memory, my personal hard drive is getting full and as I work/live my RAM (random access memory) is slower and slower. How can I upgrade? The first two things we need are not even foods and have no calories (Yea!!!!) Water and oxygen! Do you get enough? Does your brain? Water keeps your synapses firing and your blood flowing. Drink lots of water and keep your lungs and arteries clear! If blood is flowing properly the oxygen is getting to your brain! Win-win! There are all kinds of studies that tell us about healthy foods that support memory. You can google it ’til the cows come home. But it seems to me that all those really dark foods are the key (except for the fish thing but more about that after). Broccoli, kale, beets, bok choy, chard, cherries, black currents, even eggplant are only a few of the foods that are sooo good for you. I just can’t remember them all (just joking – look up lists for foods you like). Folic acid is good for your memory, too – dark meat like liver (yuk), egg yolks, lentils, and all those dark leafy veggies again. I like beets and it turns out they are really good for you! Beets beat broccoli for me. I do not like broccoli except the stems and they aren’t that dark just nice. So, I’ll up my intake of beets. I’m trying to include chocolate in here, too, because it has A, B1, B2, B3, C, E and pantothenic acid. But there is no proof that it is good for memory. But it does make forgetfulness more fun! Oh, yeah, fish at least once a week, too. PS: This is Eating Disorder Awareness week in Canada. Look around and be understanding. Eating disorders have the highest death rate of any mental illness. If you think you or someone you know has an eating disorder see a medical professional and/or mental health professional. You are a cherished individual and deserve the love of yourself and others! ~ by 1fatgirlshrinking - Diane Kirby on February 5, 2012.